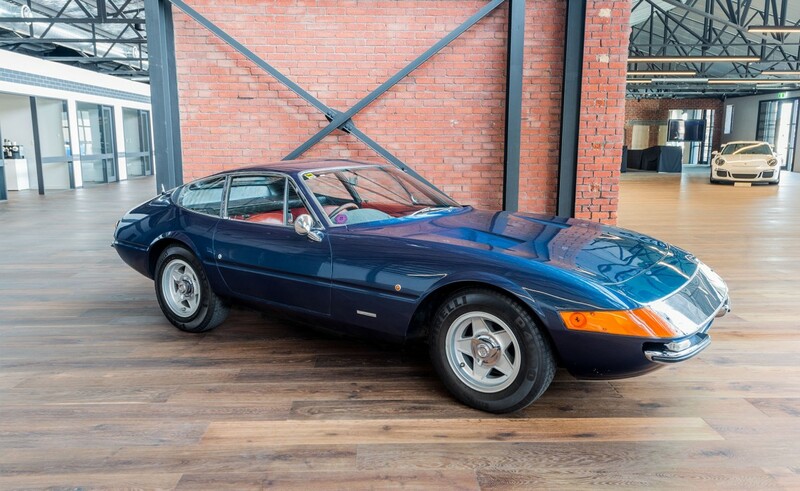 WORLD’S MOST ORIGINAL AND RAREST PLEXIGLAS RHD DAYTONA? 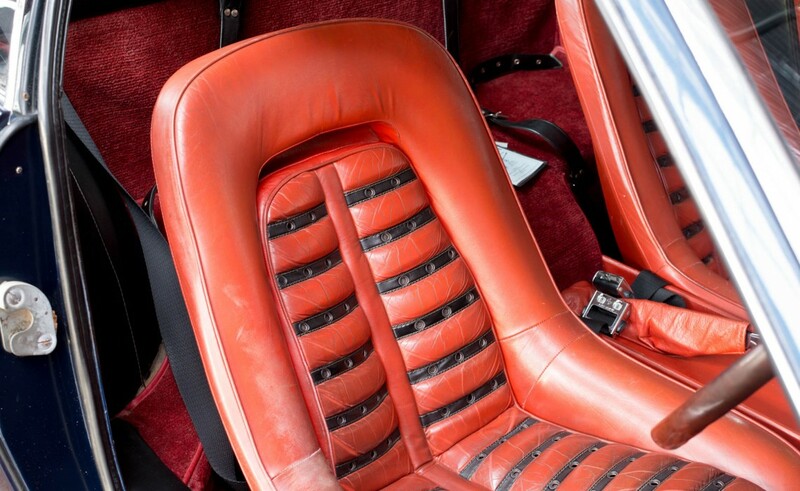 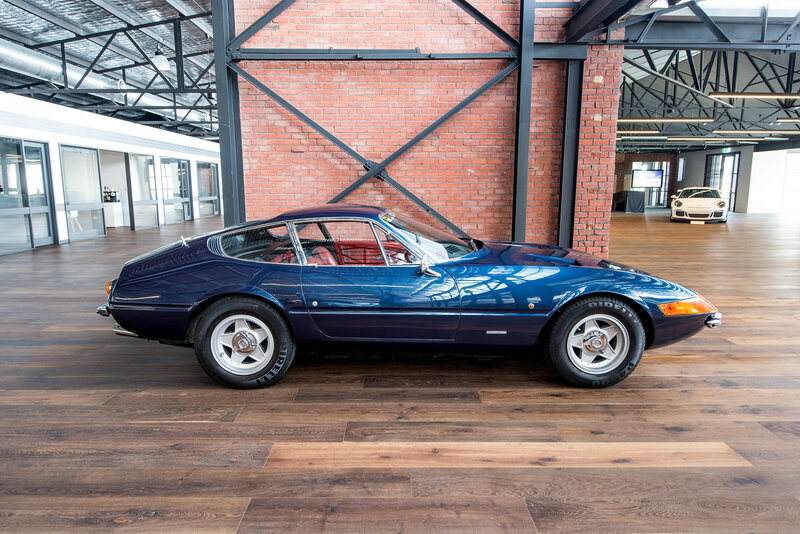 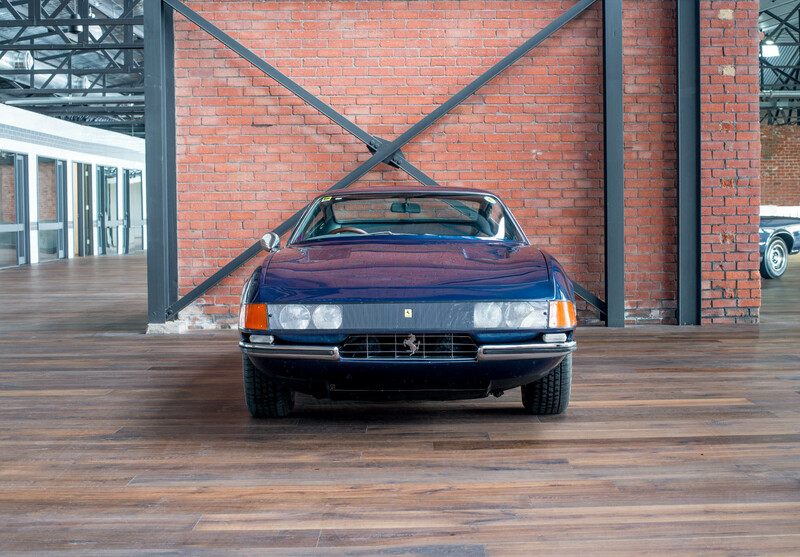 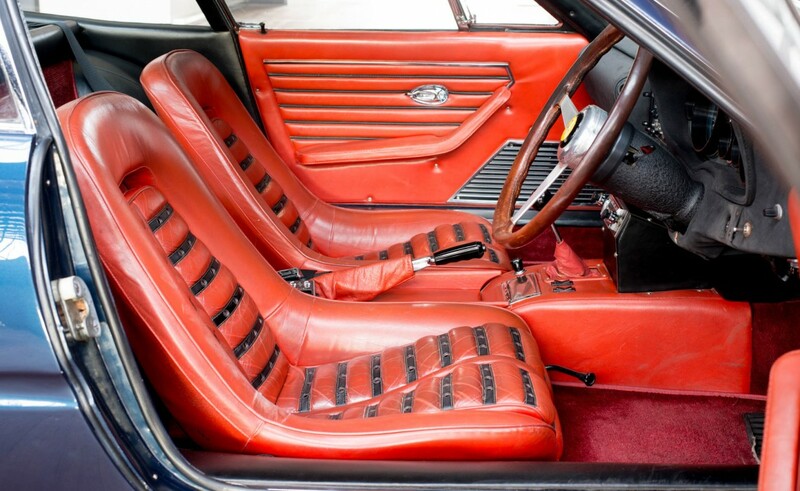 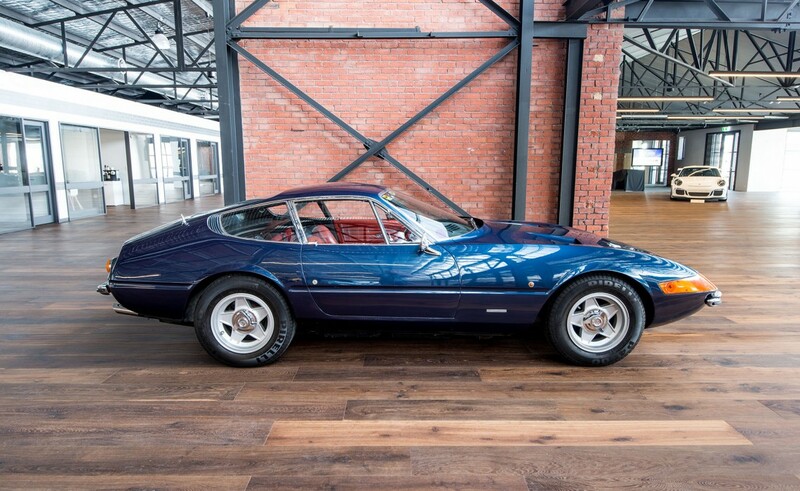 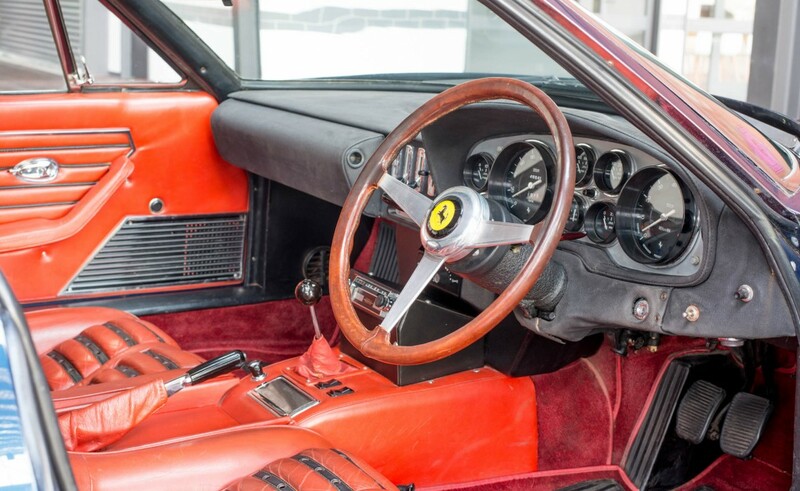 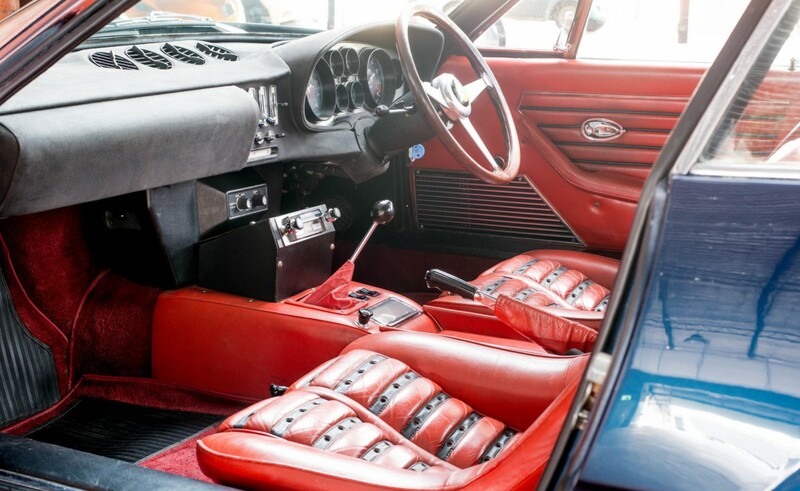 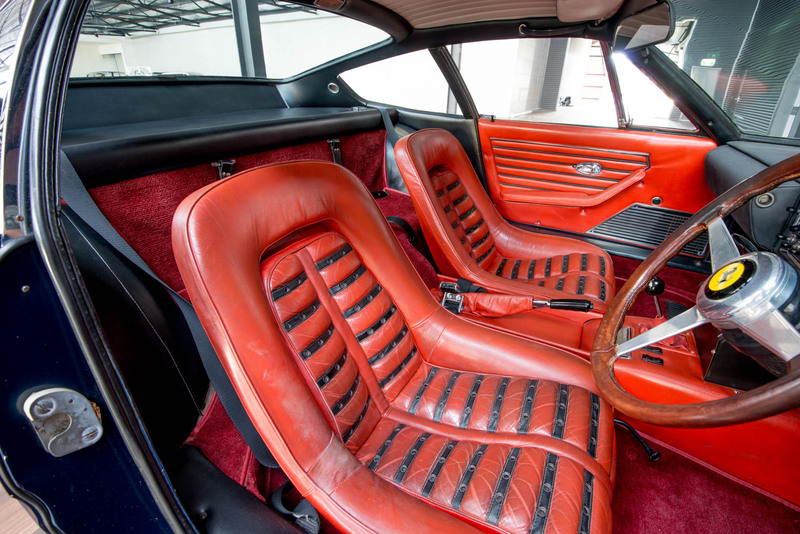 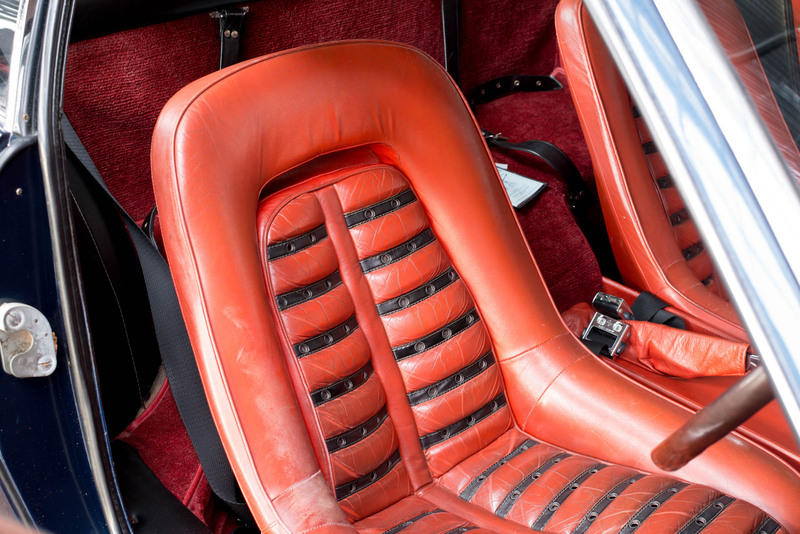 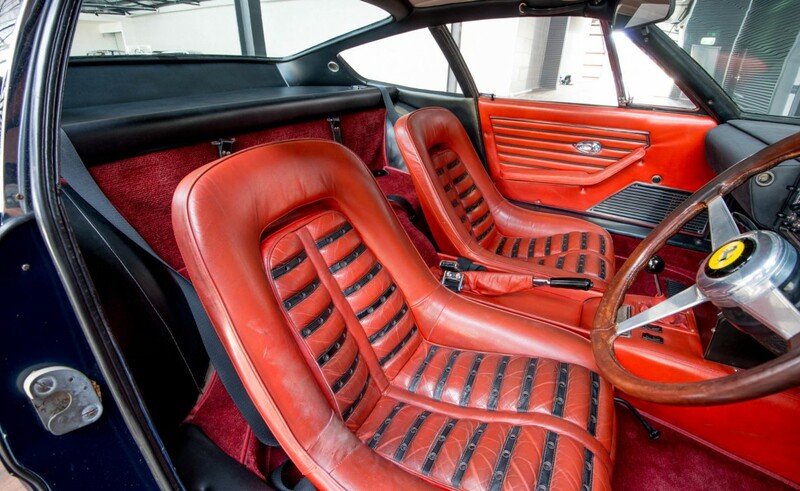 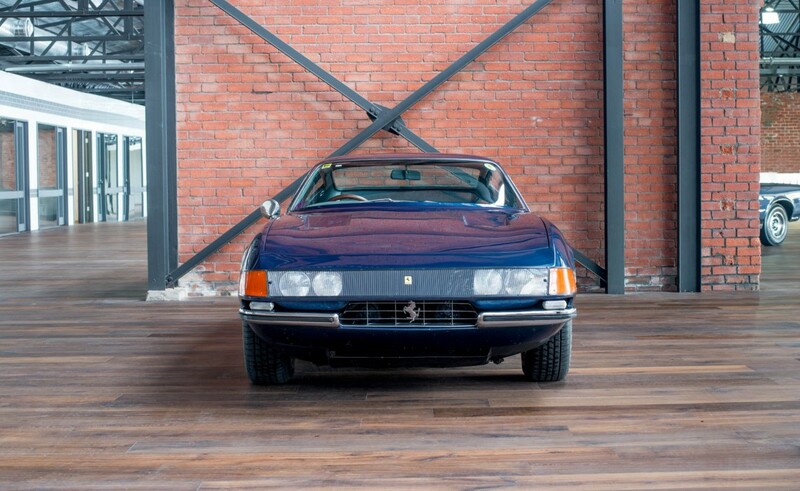 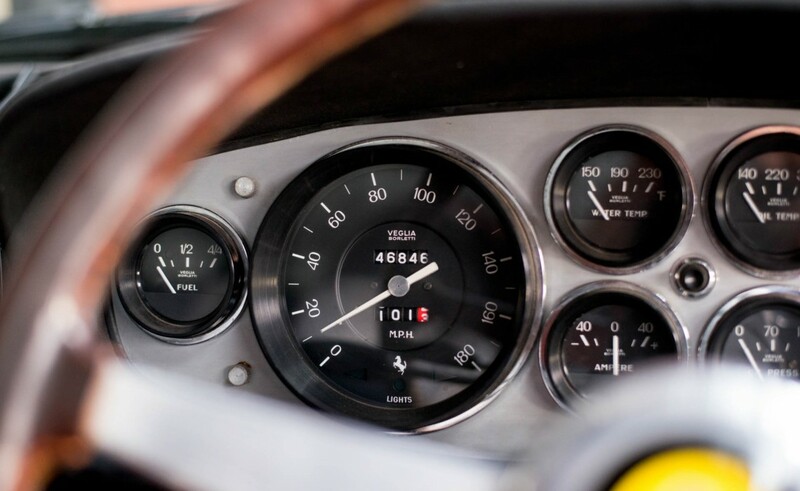 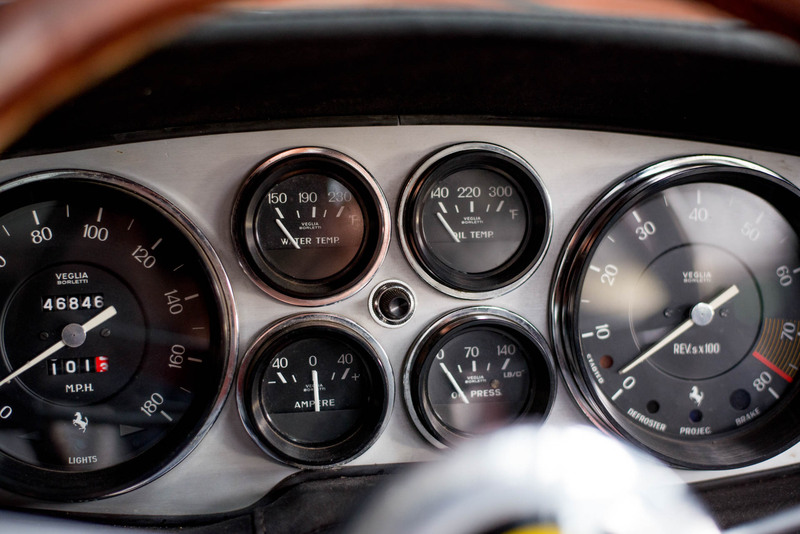 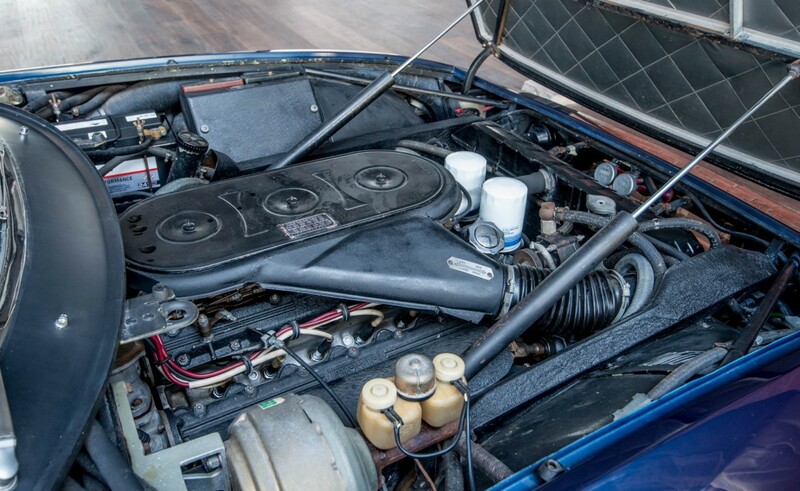 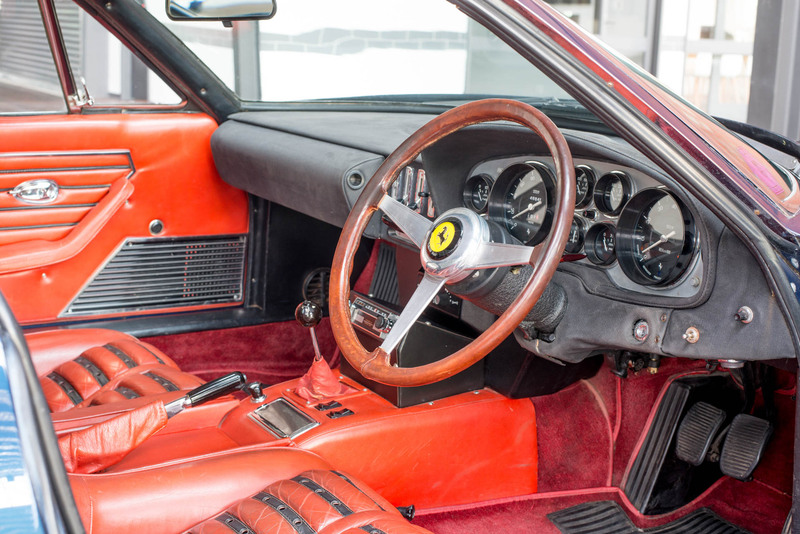 1970 Ferrari 365 GTB4 Daytona, Chassis 13279, 46,969 miles from new. 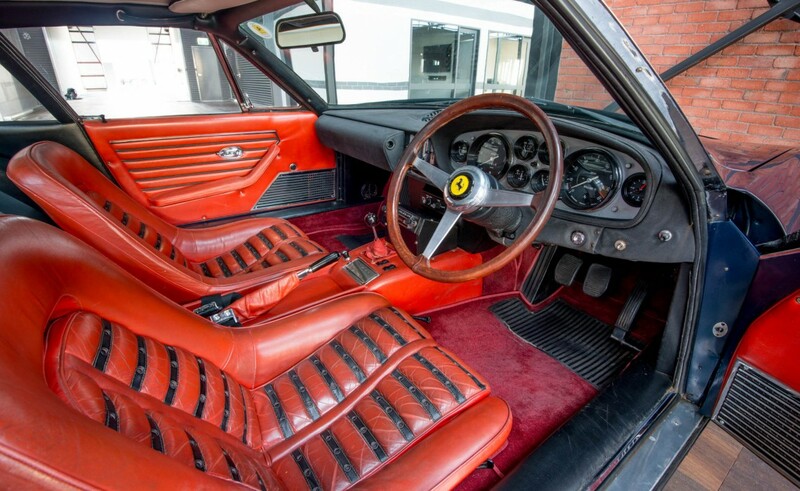 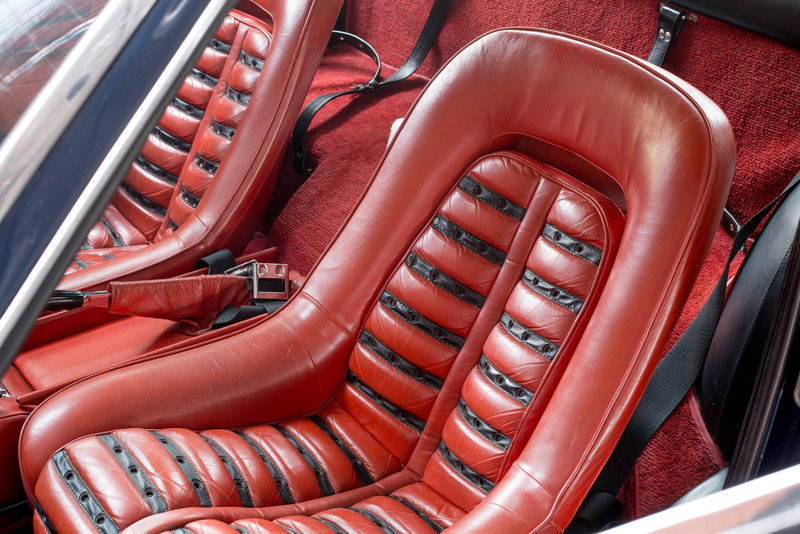 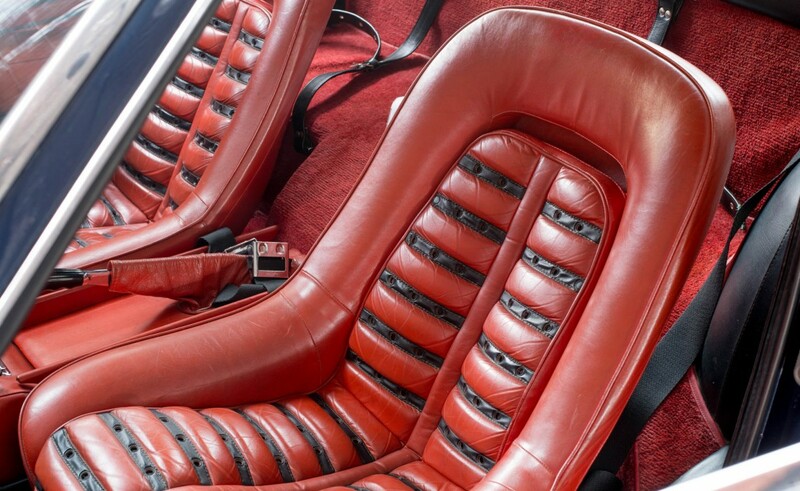 Ordered via Australian Ferrari concessionaire WH Lowe of Melbourne on 29th October 1968 in Blu Torbillon with VN3171 red leather. 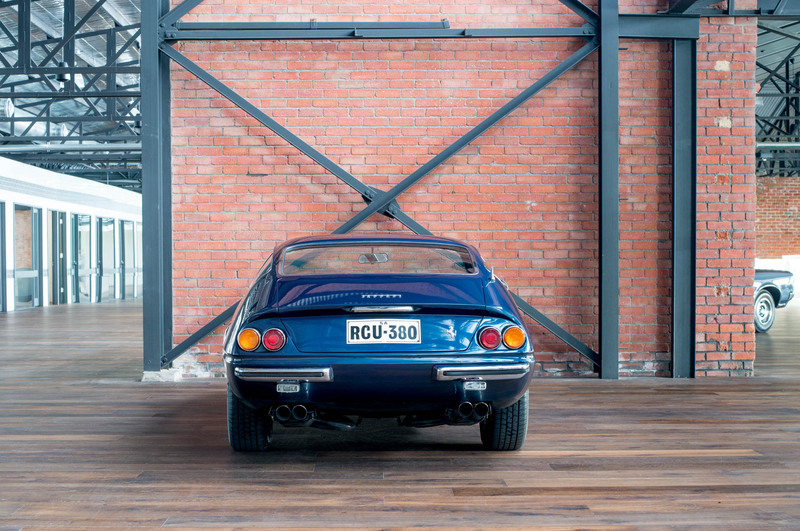 Unloaded new in Adelaide South Australia from cargo ship Ravenstein on 5th June 1970. 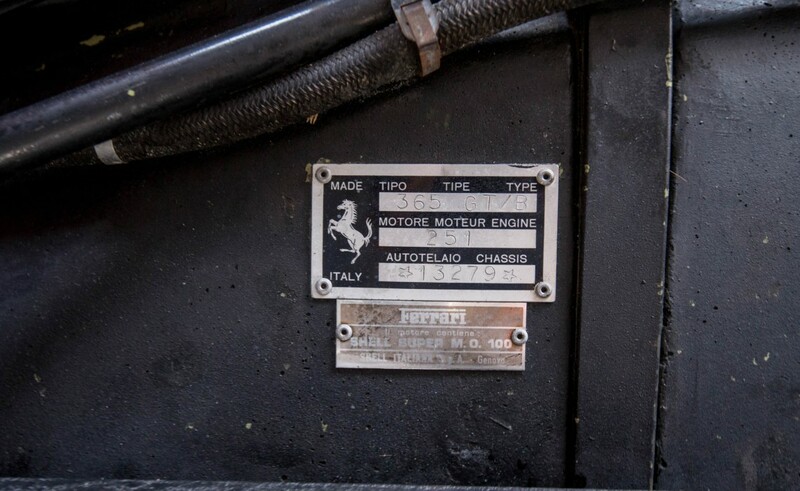 13279 was driven by the Adelaide Ferrari sub-agent until sold to its one private Adelaide owner on 25th March 1974 (original sale document supplied) who in turn sold the car to us on 21st November 2014 (his ownership of 40+ years with nil accident history). 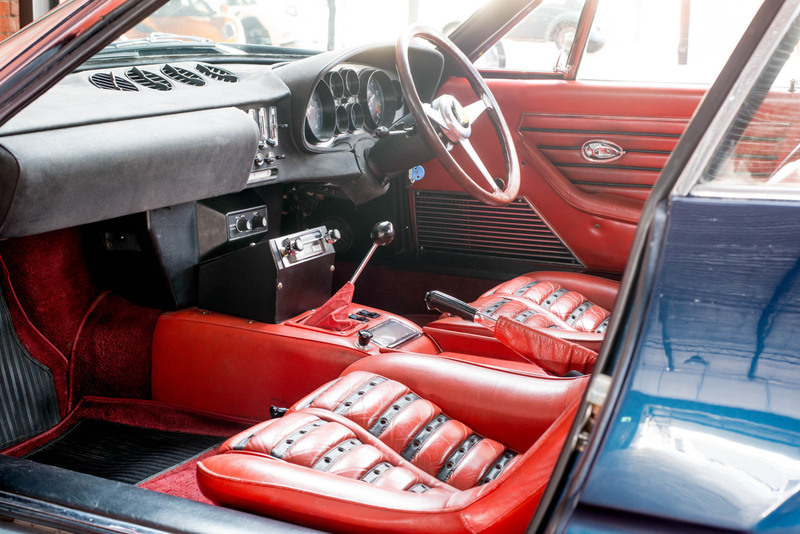 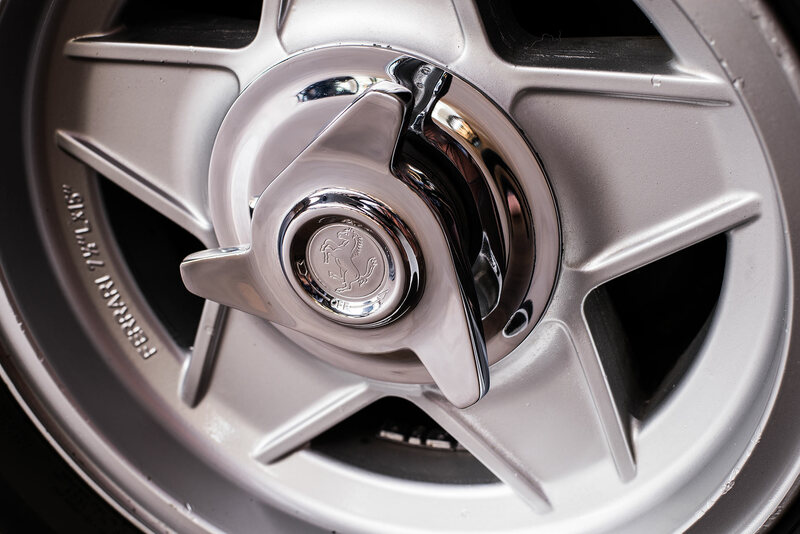 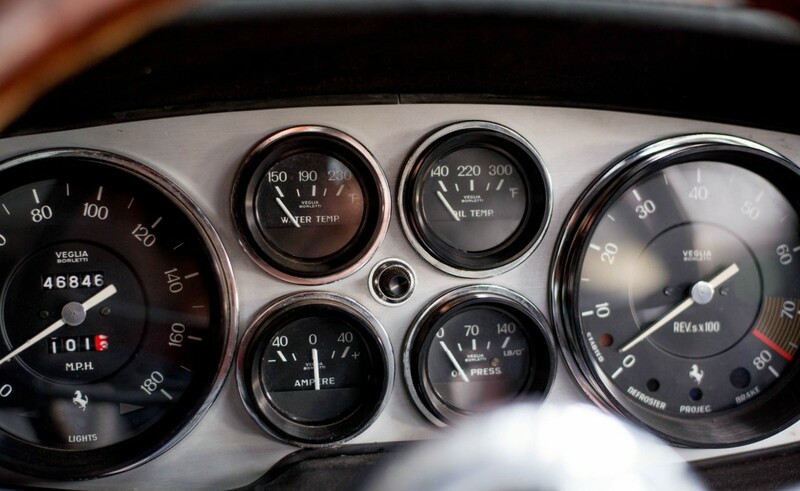 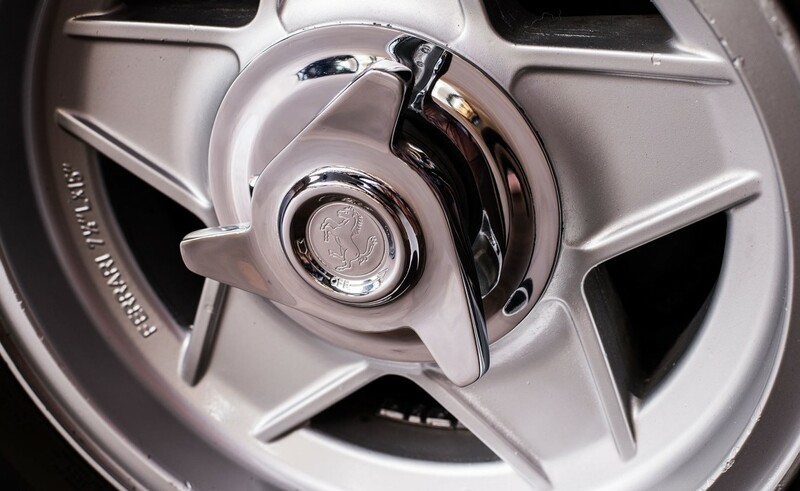 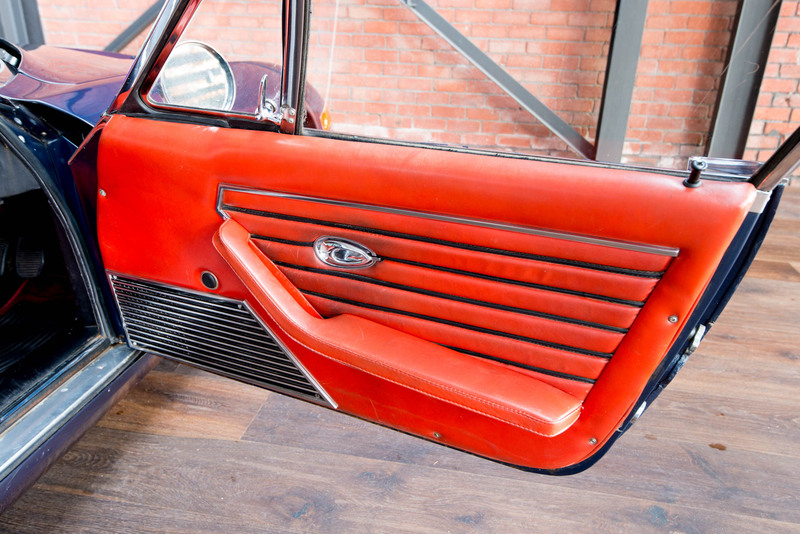 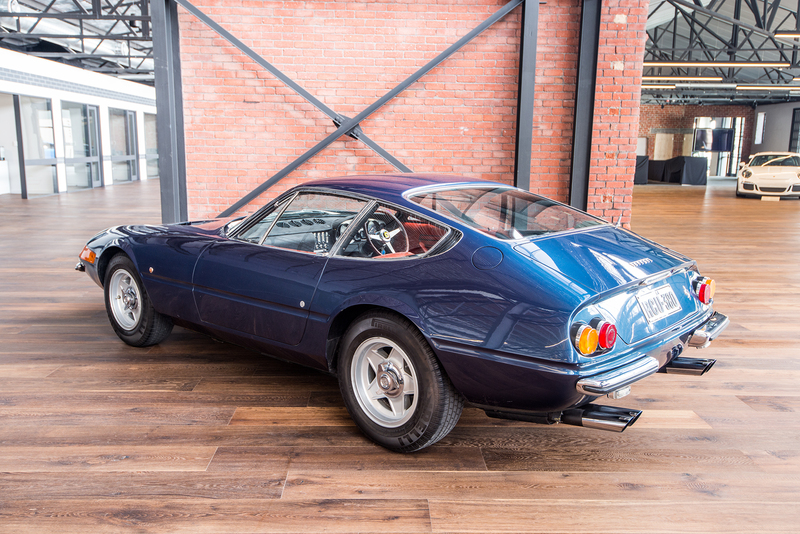 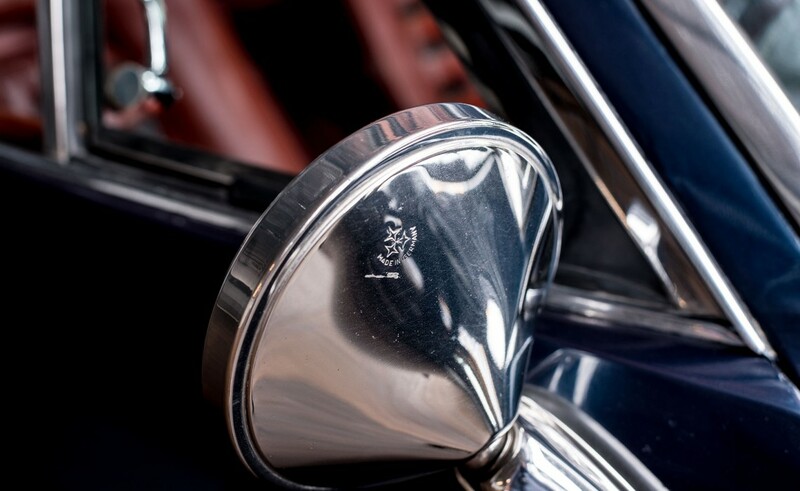 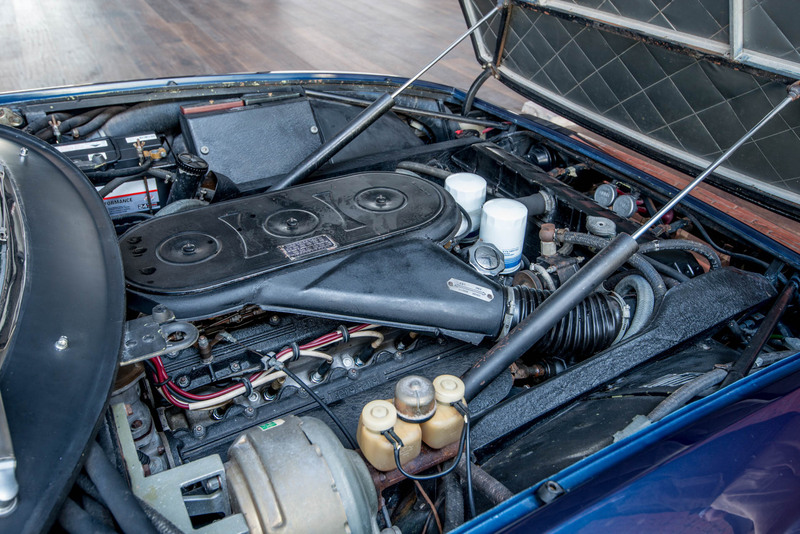 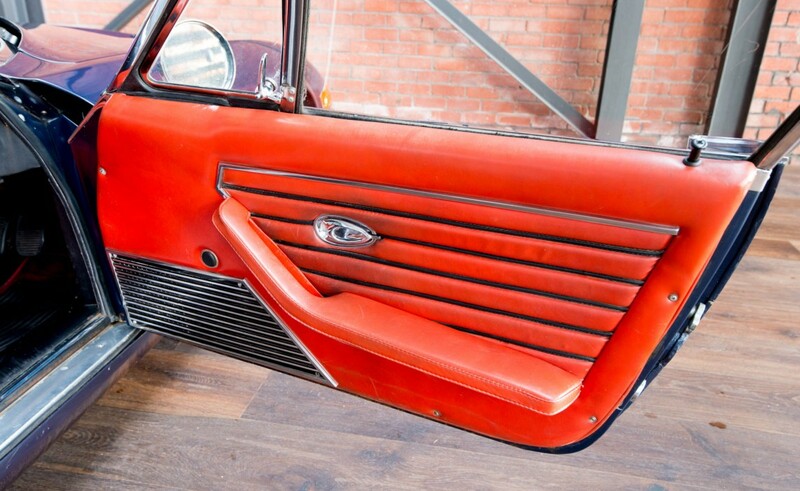 One of reportedly 42 RHD Plexiglas Daytonas built, 13279 is an original example – Daytona restorers have travelled to view this original car to assist with their projects. 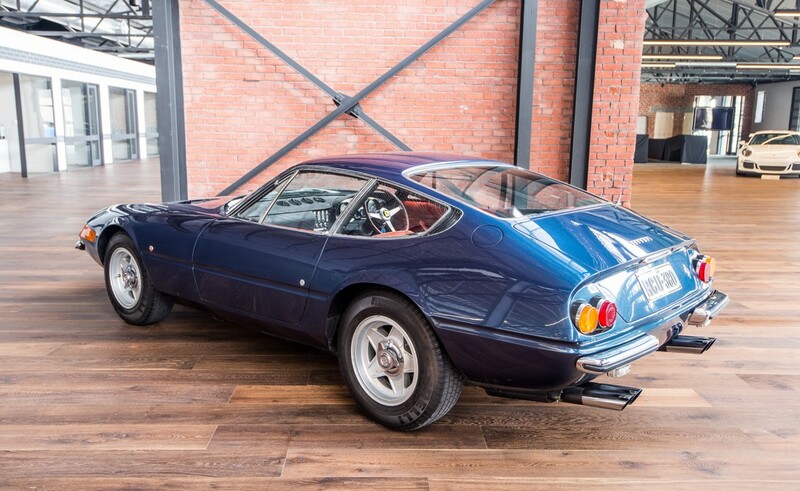 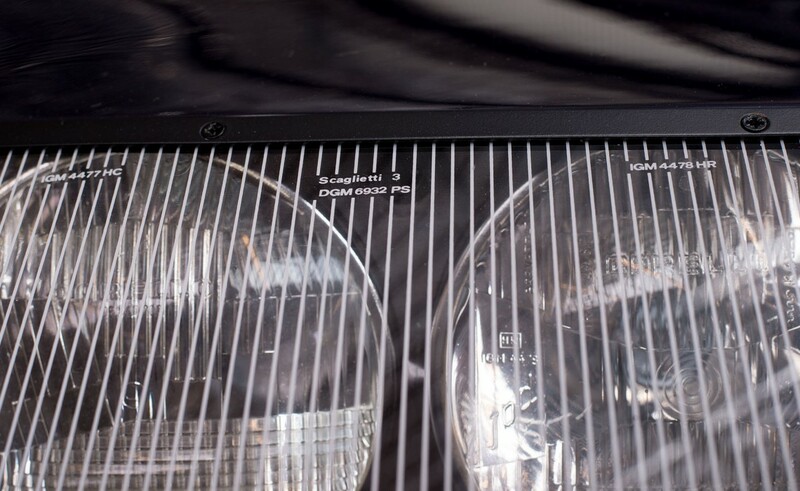 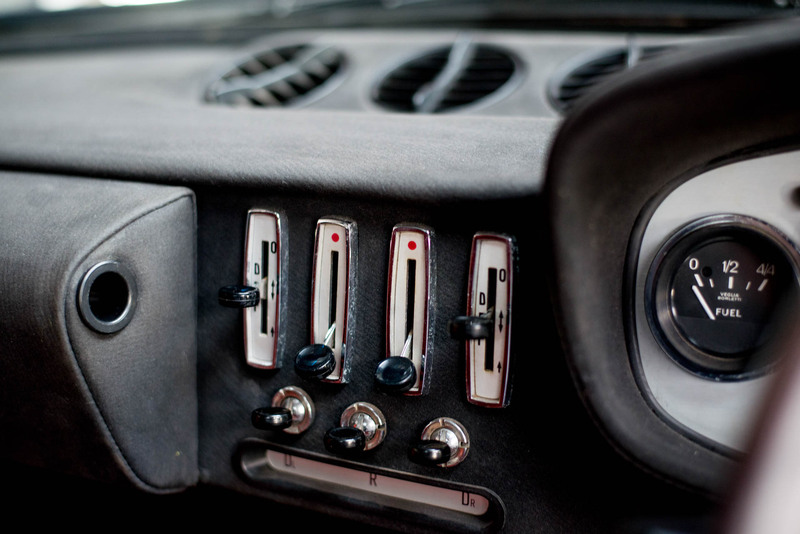 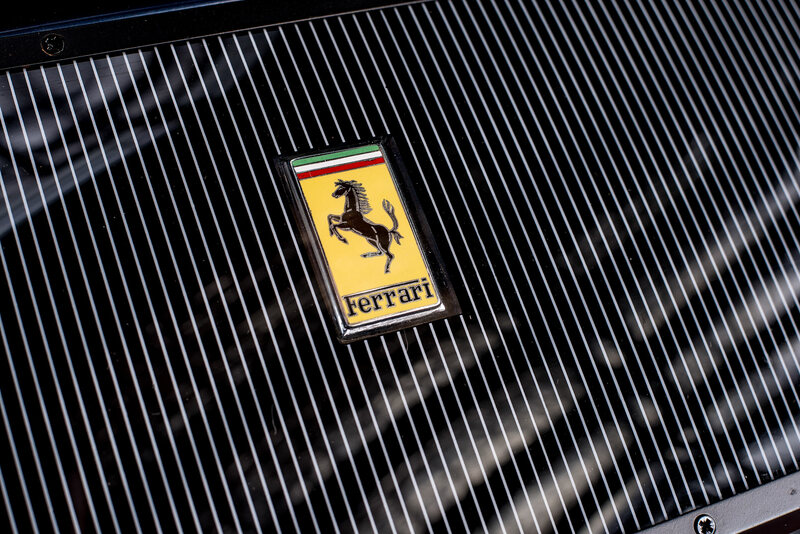 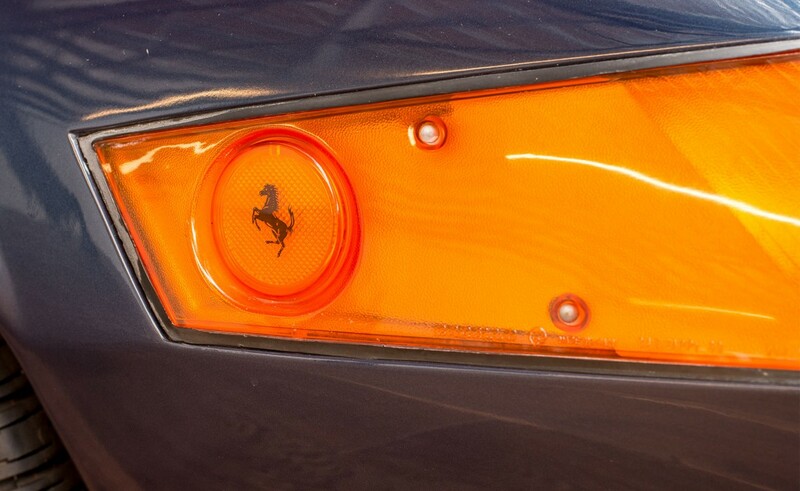 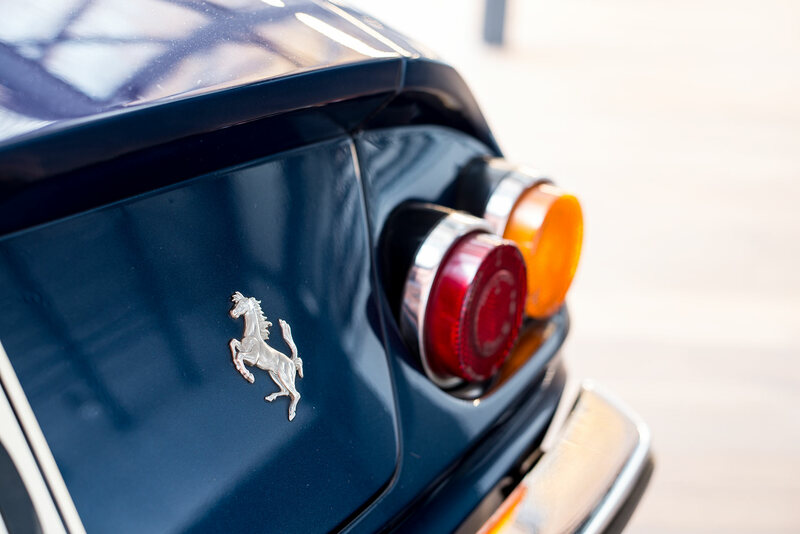 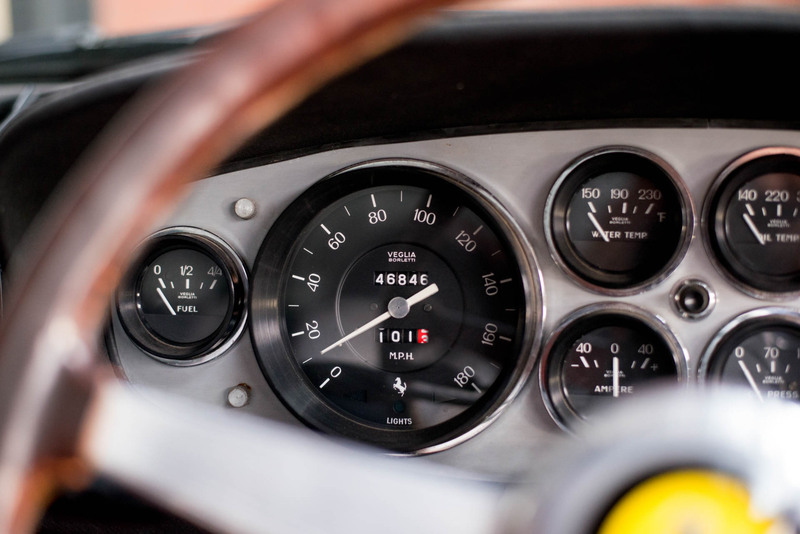 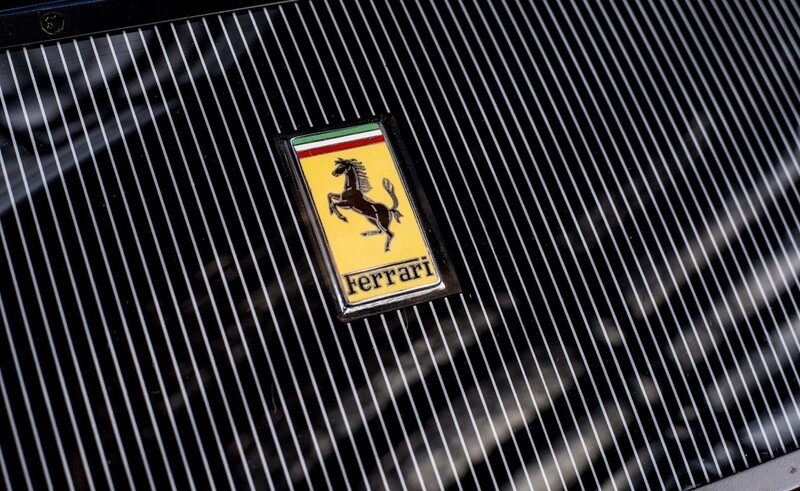 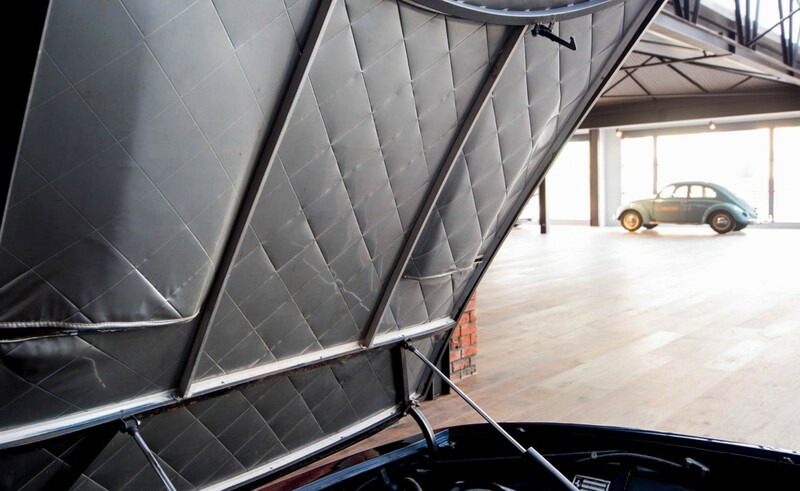 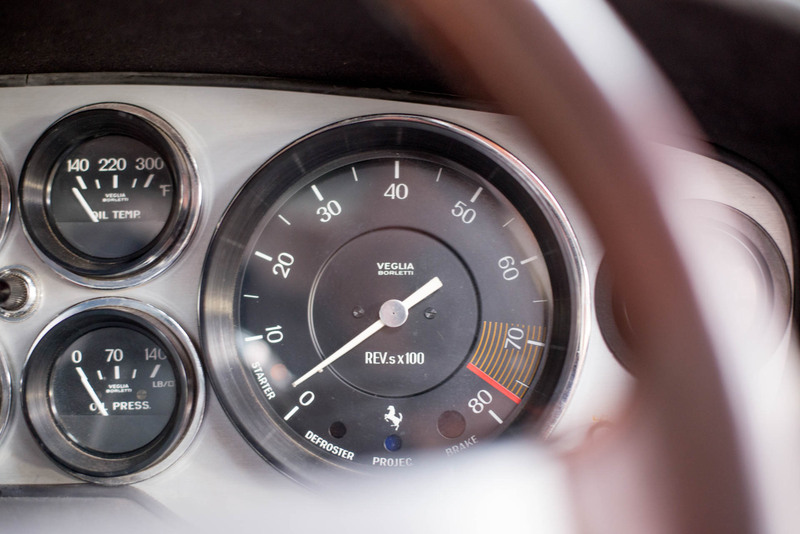 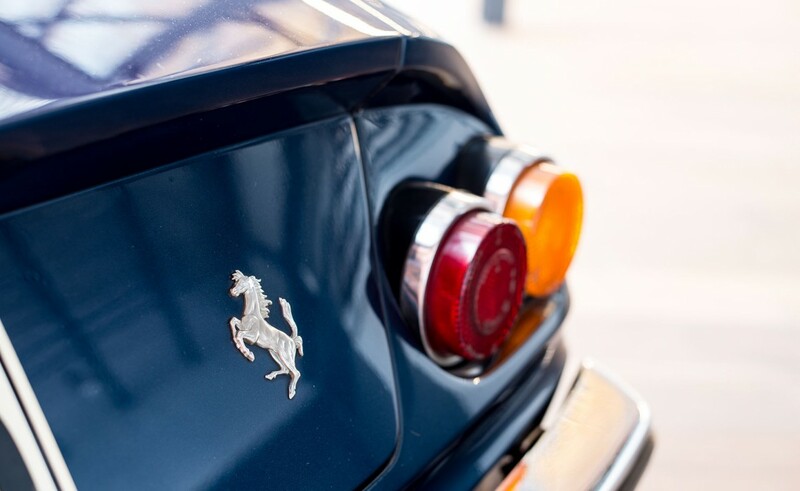 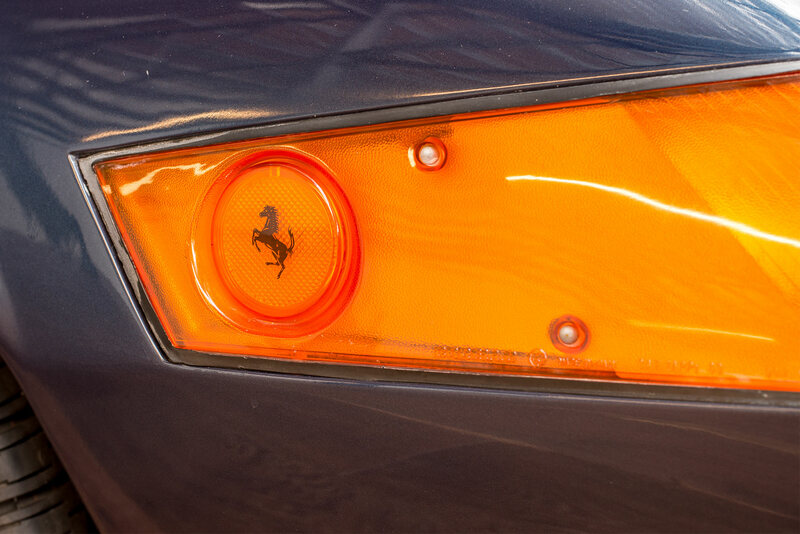 The Plexiglas front is the original design of the 365GTB4 by Pinninfarina - the later flip-up lights were introduced to comply with a change in US regulations. 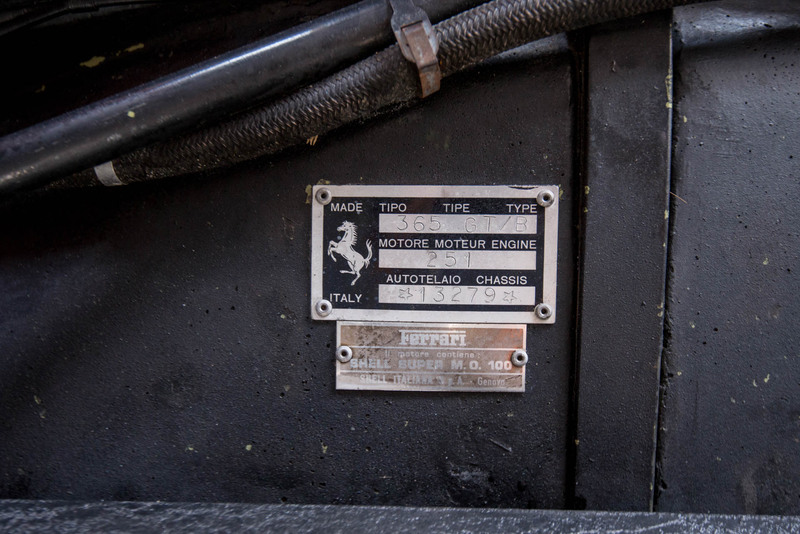 13279 is a matching numbers car in excellent running condition. 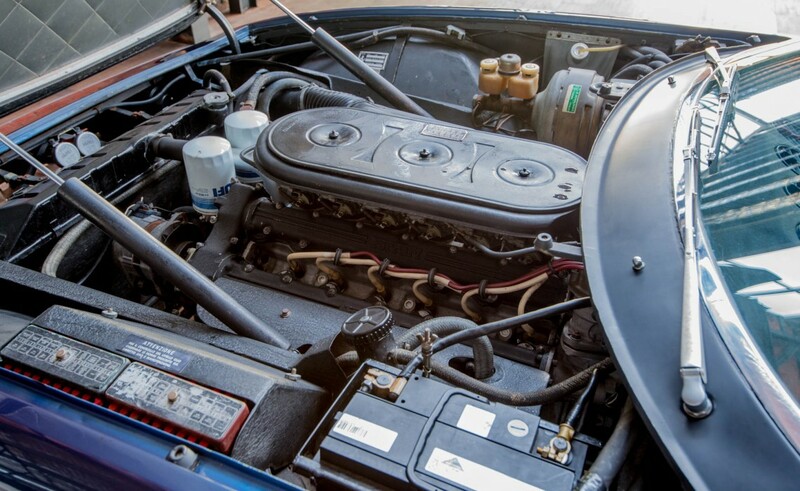 The engine has never been out of the car and there is no reason to do so. 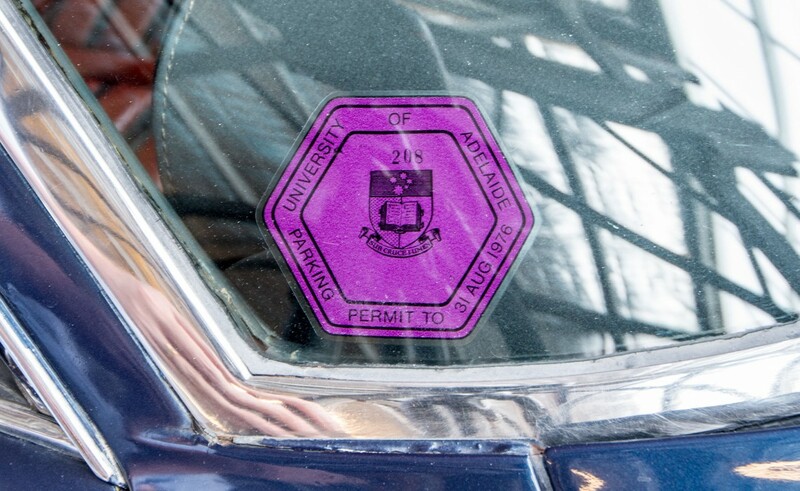 It was driven to Melbourne and back about four years ago (1,000 miles). 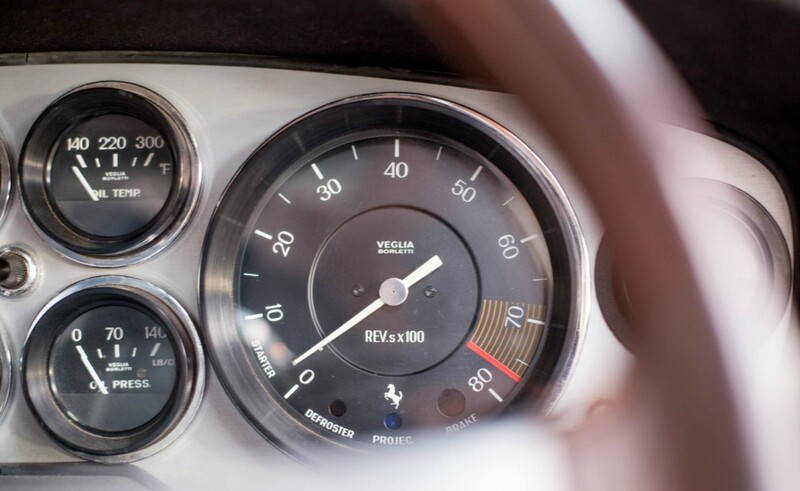 I took it for a 120 mile run recently - temps and pressures were normal - it is very exciting to drive with very strong acceleration and the exhaust note is divine. 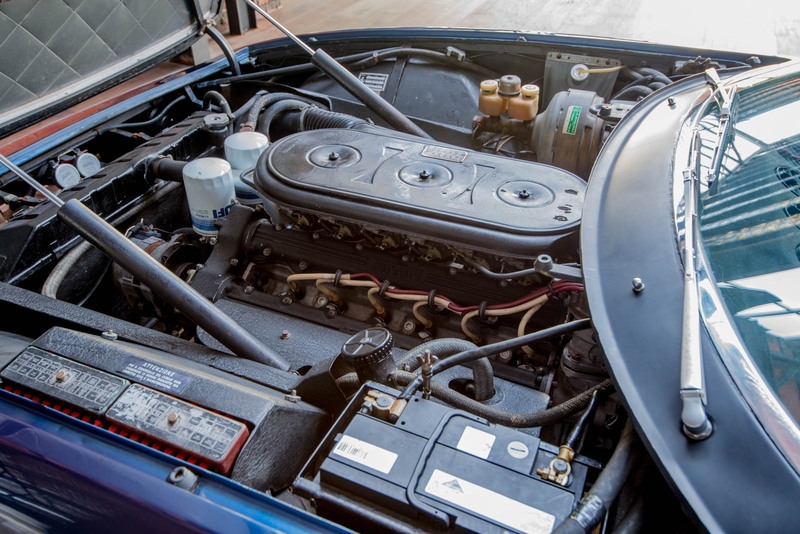 Twenty years ago it received a fresh coat of Blu Torbillon paint. 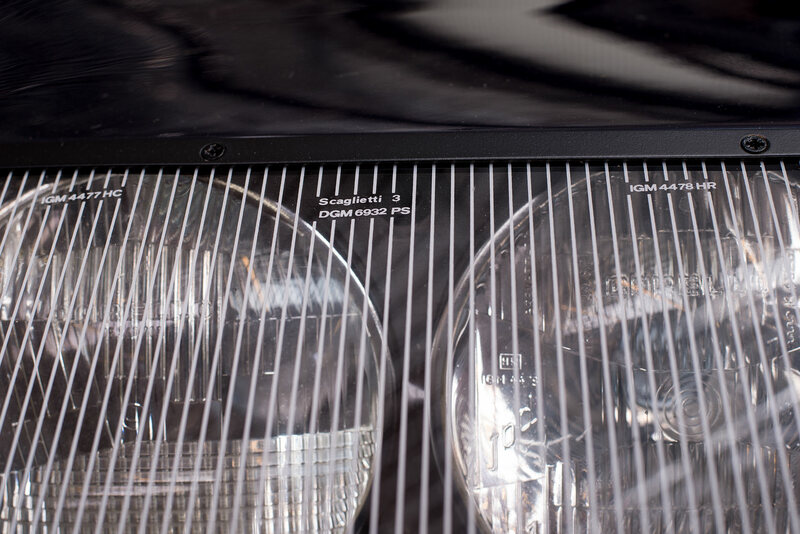 A new Plexiglas panel was added three years ago as the original became foggy with age. 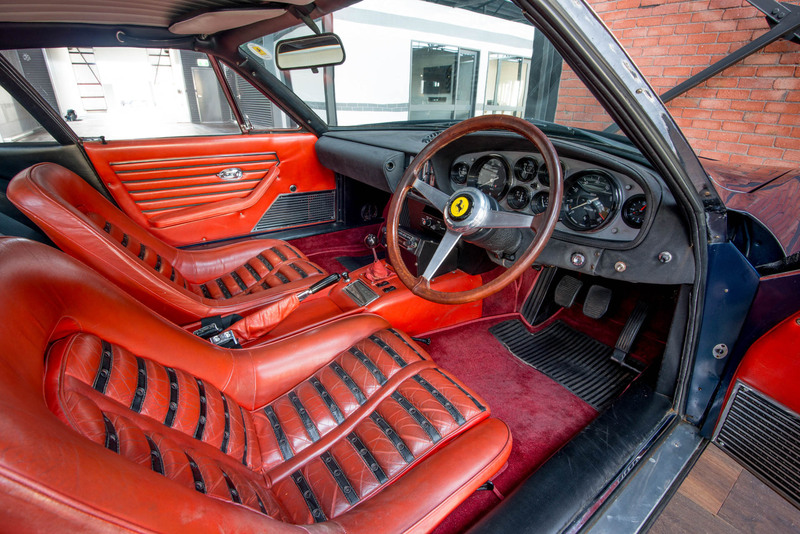 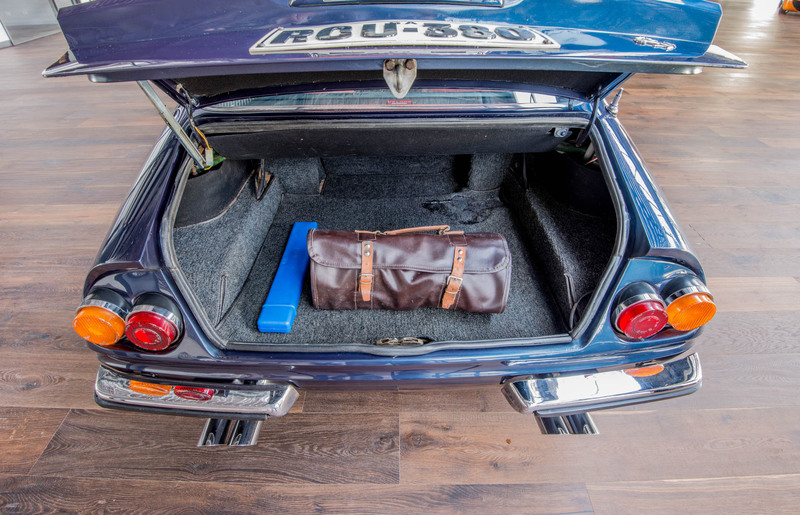 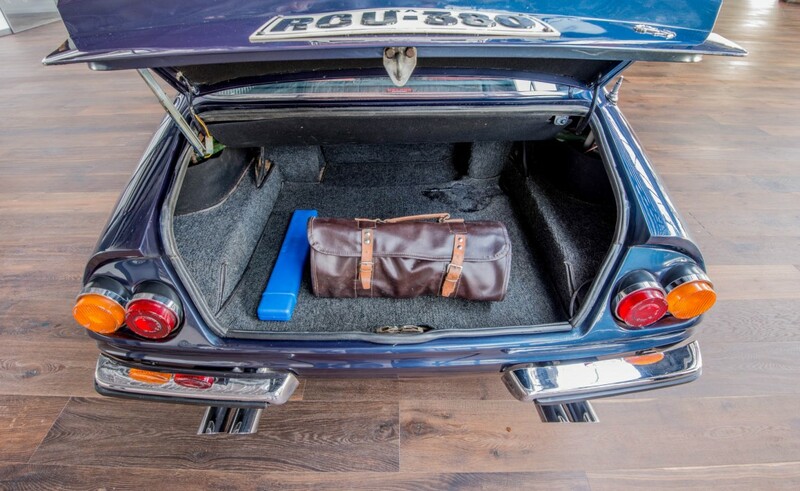 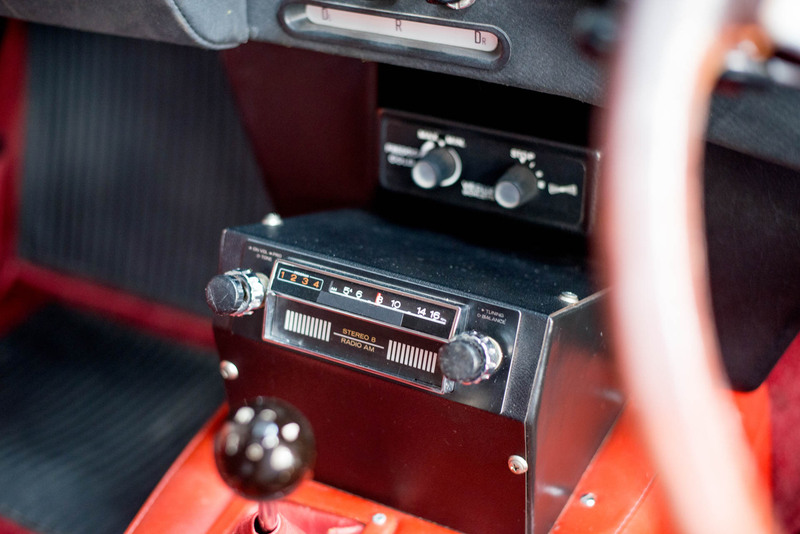 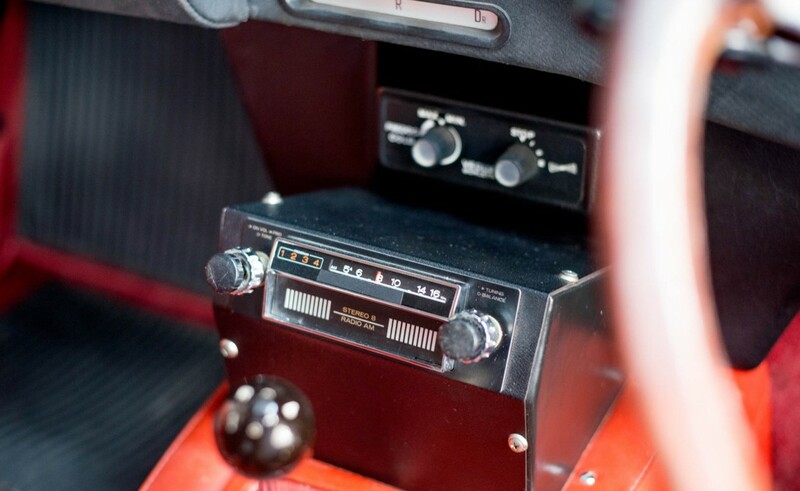 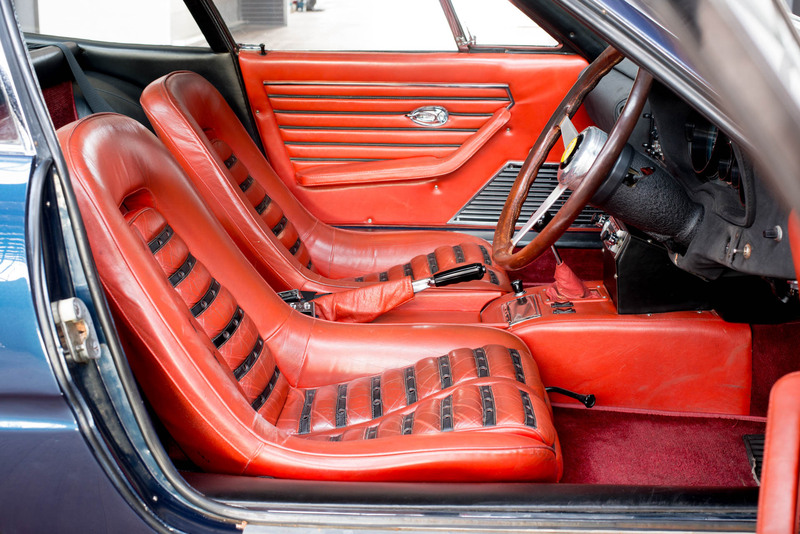 Supplied with 365GTB4 owner's manual, leather wallet, tool roll and WH Lowe service receipts from the 1970s. 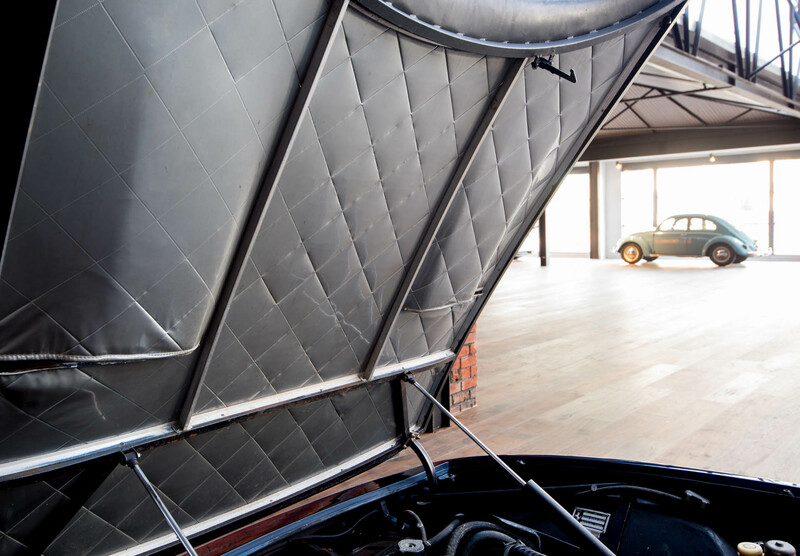 13279 has spent some considerable time on display in the Birdwood National Motor Museum in South Australia. 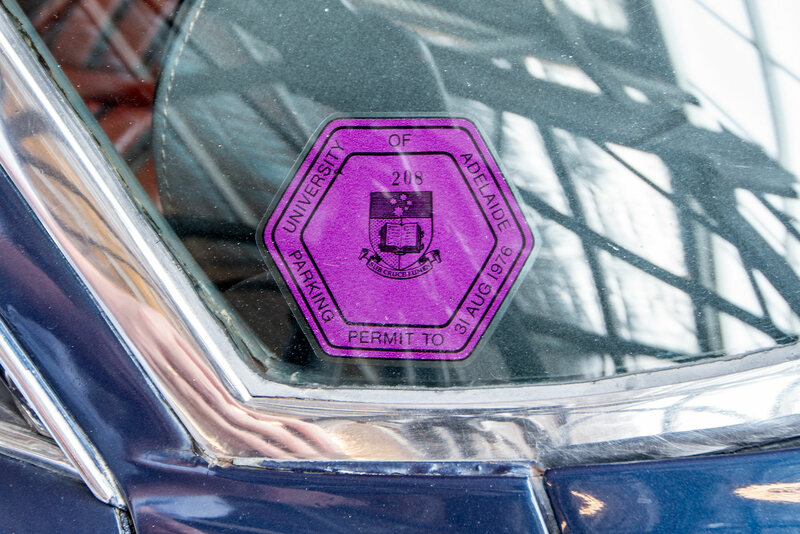 An Adelaide University parking sticker dated 1976 remains on the windscreen. 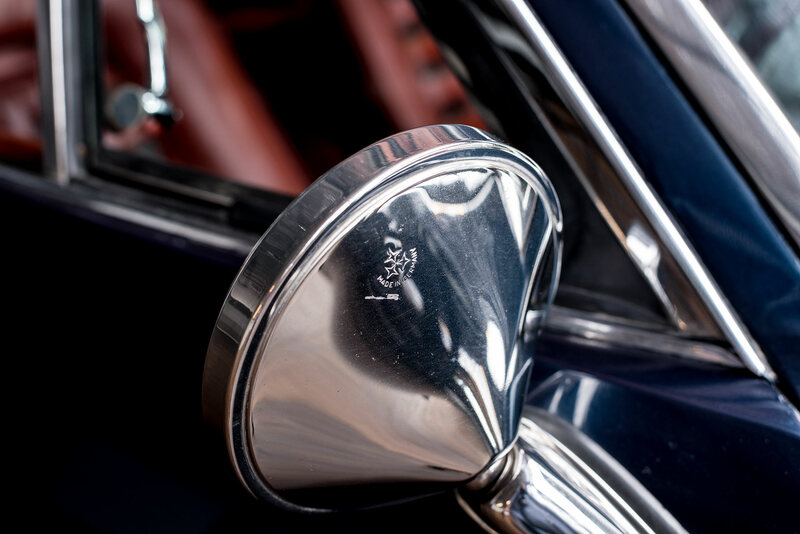 The original number plate RCU380 is the same registration to this day. 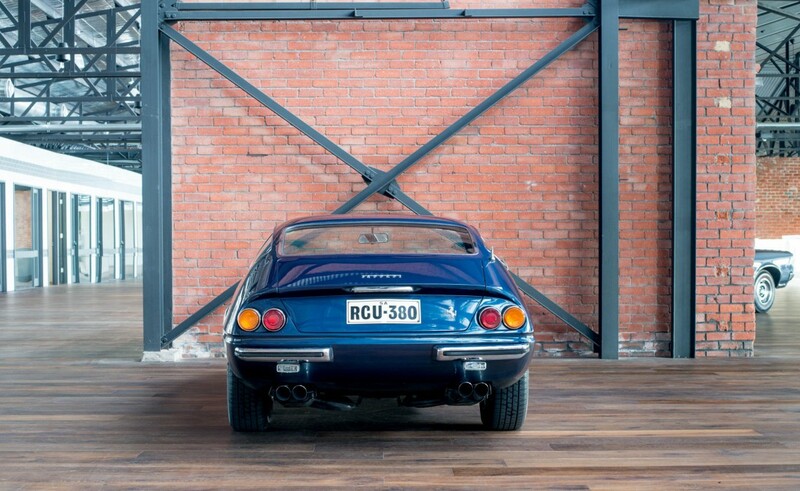 Having lived all its life in the driest State of the driest continent on Earth, 13279 remains in remarkable condition. 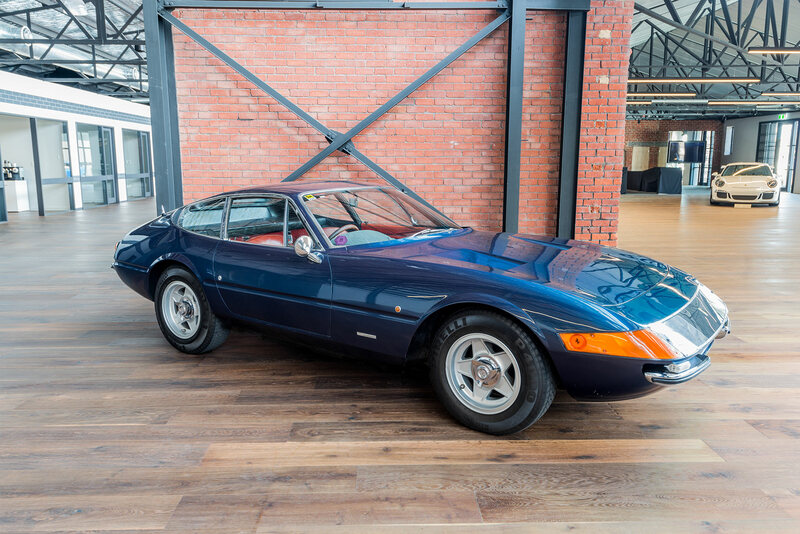 It is likely 13279 is the most original RHD plexiglas Daytona.